All dates for HITSEEE 2019 have been announced and the application form has been released on the 5th of December 2018. The exam will be conducted on 28th, 29th and 2nd May 2019. The HITSEEE 2019 will be conducted by Hindustan University (Hindustan Institute of Technology and Science). This is an engineering entrance examination conducted for admission to 10 B.Tech programmes offered at the undergraduate level. If you have just finished taking your 12th qualifying examination and want to pursue engineering, you can take the HITSEEE 2019 that will be conducted in the online mode. If you have any questions about HITSEEE do ask us in the comments section below. HITSEEE is short for Hindustan Institute of Technology and Science. It is a yearly examination conducted for admission to B.Tech course. The exam is conducted in the online mode. The rank holders of HITSEEE 2019 will be provided a scholarship ranging from 50% to 100% tuition fee waiver. HITSEEE Admit Card 2019 shall be available for download from 24th April 2019. What’s New in HITSEEE 2019? HITSEEE as an entrance examination has undergone a few changes. Candidates can check them below. The HITSEEE 2019 Application form has been released in the online mode as compared to previous years where application form was available in offline mode. Candidates can check the application form that is available from 5th December 2018 to 18th March and 8th April 2019. The entrance exam will be conducted on 28th & 29th April and on 2nd May 2019. Before filling up the HITSEEE 2019 Application form, candidates must make sure that they fulfill the eligibility criteria laid down by the exam conducting body. The HITSEEE 2019 eligibility criteria will be based on qualifying examination and minimum percentage of marks. Check if you are eligible or not in the points below. The candidate should have passed class 12th or equivalent qualifying examination with at least 60% in Physics, Chemistry, and Mathematics. For B.Tech. (Bio-Technology) alone candidates must have passed (10+2) with a minimum average of 60% marks in Physics, Chemistry & Mathematics. Till 2017, the HITSEEE application form was available only in the offline mode. However, from 2018 onwards to the application form is available in the online mode as well on the official website which is www.hindustanuniv.ac.in. Candidates must fill and submit the online application form to take the HITSEEE 2019. The application form has to be filled with all correct information. Candidates must register on the official website, fill up the HITSEEE 2019 application form, make payment and submit the form. The HITSEEE 2019 application fee is Rs. 925. Candidates will be required to pay this fee, otherwise, their application form will be termed incomplete. Candidates can check the list of B.Tech courses to which they can apply through Hindustan University Engineering Entrance Examination. Do you know the correct HITSEEE 2019 Exam pattern? 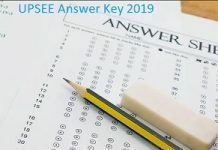 Before starting off with the preparation of HITSEEE 2019, candidates must make sure that they have gone through the HITSEEE exam pattern given which comprises information about the exam and its question paper. HITSEEE 2019 is conducted in the online computer based mode. Candidates are given only 2 hours (120 minutes) to complete the entire test. The question paper will comprise of objective type of questions. Questions will be asked from Physics, chemistry, and mathematics. There will be 40 questions from each subject making it a total of 120 questions. The syllabus of HITSEEE 2019 will include topics from Physics, Chemistry, and Mathematics. Before starting off with HITSEEE 2019 preparation, candidates must make sure to check the official syllabus for the engineering entrance examination. The syllabus will contain topics from class 12th and 11th school level. Appearing candidates can check the HITSEEE 2019 syllabus from here. Those who have successfully filled and submitted the application form will be able to download their HITSEEE 2019 admit card. The Admit card is one of the most important documents that the candidate must carry to the exam center on the day of the exam. The admit card will be available for download on the official website as well as here. You must keep your registration Id ready with you in order to download the admit card. It will carry important details like the name, photograph, and signature of the candidate, the exam date and time and the name and address of the exam venue. The HITSEEE 2019 result will be available for all the candidates in 1st week of May 2019. Those candidates who have taken the engineering entrance examination can check their results in the online mode on the official website as well as here. The results will be released in the form of a Merit list that will carry the rank and score of the individual candidate. Candidates must take a print out of the result for future references. The HITSEEE 2019 counselling will be conducted on 15th May and 25th May 2019. The candidate’s rank will decide the seat that will be allotted him/her. Candidates must make a note that simply qualifying the HITSEEE 2019 and securing a rank will not guarantee admission to Hindustan University. Admission will be given on the merit/rank of the candidate and the number of seats available in a particular programme that the candidate has applied to. 2 What’s New in HITSEEE 2019?